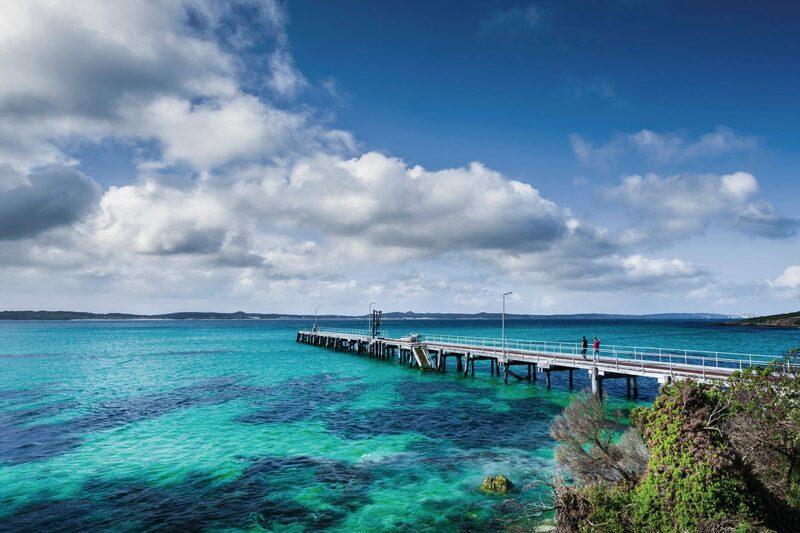 Kangaroo Island more than earns its ranking as Australia’s fourth major tourism icon. You simply can’t beat its wildlife and wilderness. Being in South Australia, the wine is pretty good too. Kangaroo Island (KI to the locals) is a short flight from Adelaide or a ferry ride from Cape Jervis. There’s so much to do on this island. 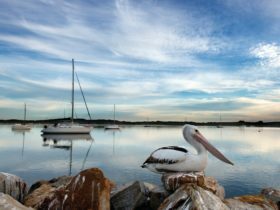 Explore untouched bushland, fish on pristine beaches, see the wildlife, and go on an eco tour or charter. Kangaroo Island is rich in history. In 1802, British explorer, Matthew Flinders landed near Kangaroo Head on Dudley Peninsula. French explorer, Nicolas Baudin, followed soon after and mapped most of the island. 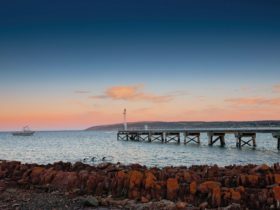 Kangaroo Island became Australia’s first free settlement, with sealers, escaped convicts and runaway sailors calling the island home. Today, life on Kangaroo Island is a lot easier. The locals are a happy and friendly lot. Wildlife surrounds Kangaroo Island. The ocean is teeming with fish, sea lions and little penguin colonies. Stand on the shore in the cooler months and watch migrating southern right whales and their calves. This place is like a zoo without fences, with rare bird life, tammar wallabies, short-beaked echidnas and plenty of kangaroos and koalas. There are loads of accommodation options, from simple lodgings to breathtaking luxury. Be pampered with a day spa and beauty treatments, then go straight to the dining table for exquisitely prepared regional produce. Sleep in a swag under the stars. You’ll have no trouble finding a beautiful place to camp. The clarity of the night sky on Kangaroo Island is something you’ll never forget. 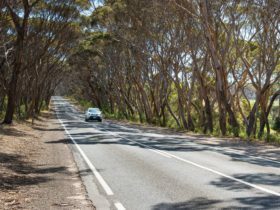 Absorb Kangaroo Island’s heritage and natural beauty at your own pace by car or four wheel drive. Go on a self guided audio tour, coach journey, four wheel drive adventure, boat trip or fishing charter. The Kangaroo Island area is a local government area (LGA) in South Australia. This area is home to 49 locations and/or suburbs which you can explore in more detail by selecting from the list below. The Kangaroo Island area is located approximately 157kms from the capital Adelaide.